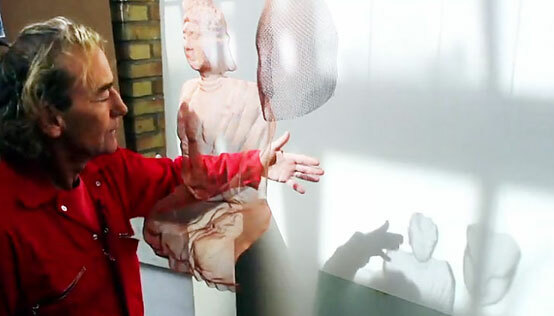 In progress: a new series of suspended or wall-mounted torsos - in fluorescent colours. 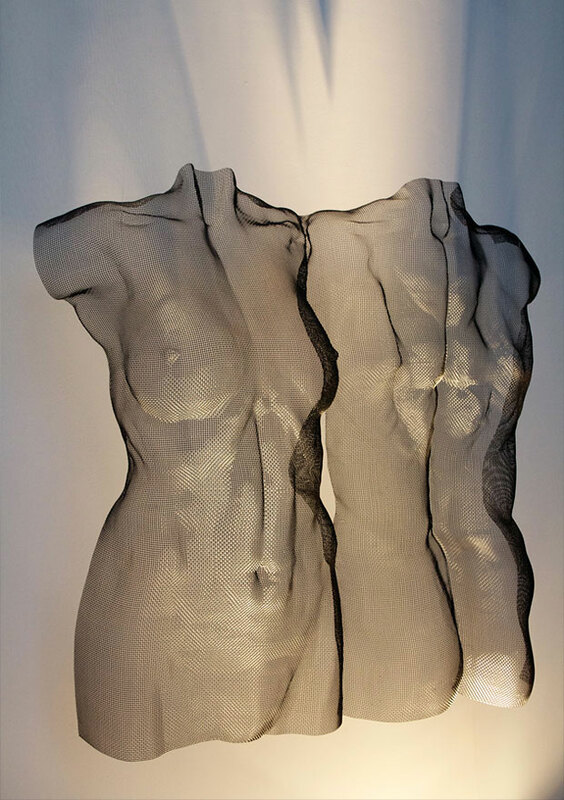 A female torso series in bronzemesh approx. 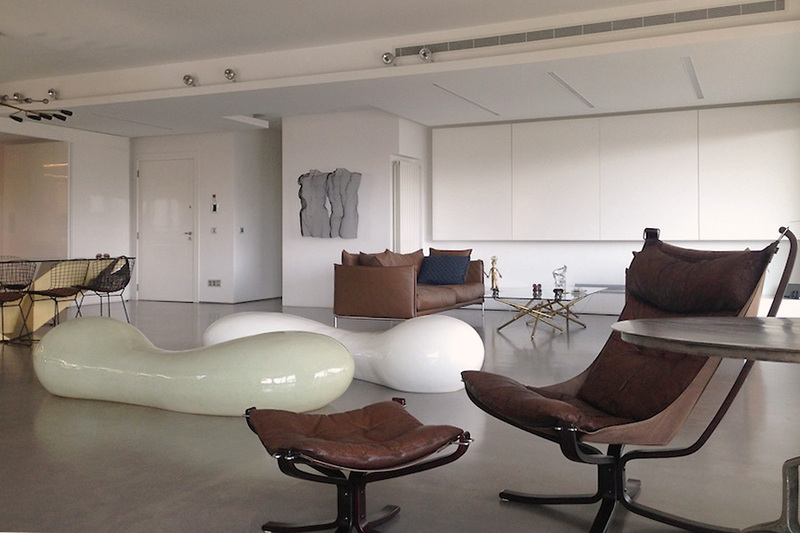 65 cm is available in fluorescent red, neon blue, green, orange and lime-yellow: £7,500.00 incl. VAT each. 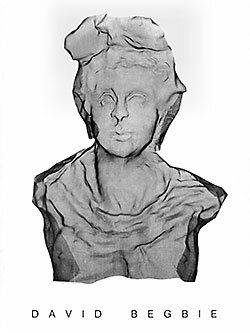 A life-size torso in approx. 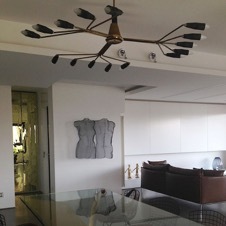 85 cm height is available in fluorescent red, In neon blue, green, orange and lime-yellow: £9,600.00 incl. VAT each. 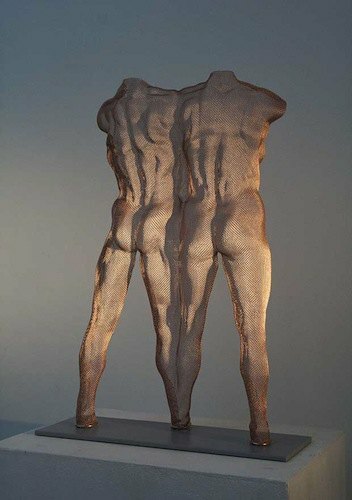 Finished 13th of November: A male and female back composition SOLUS 2013 (copper colour finish, height 50 cm) in different types of lighting. 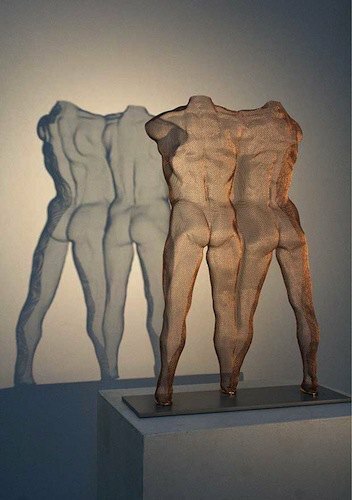 More of the fine sculpture detail become visible in the shadow image with projected lighting, exploring the male and female character. Contact me for larger images and prices. 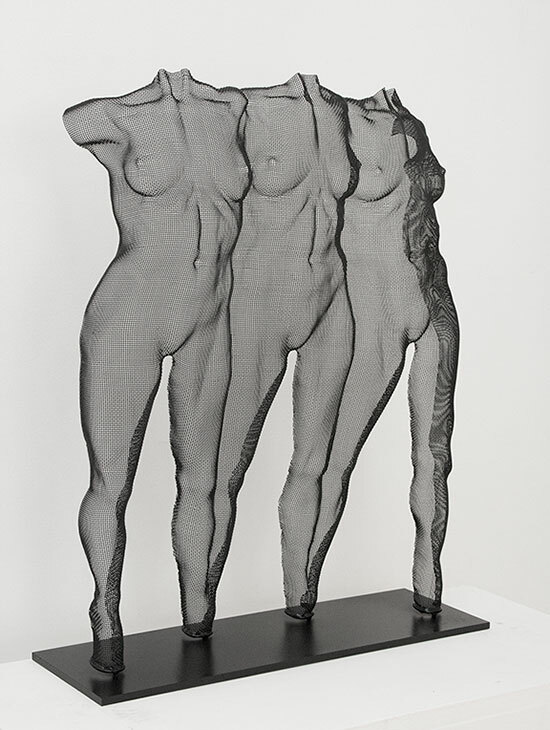 Finished in June 2013 - a triple female front sculpture in black finished steel mesh, 51 cm high. This item is sold. 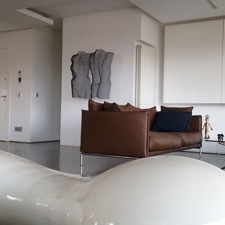 See available artwork on page Mesh Sculpture. 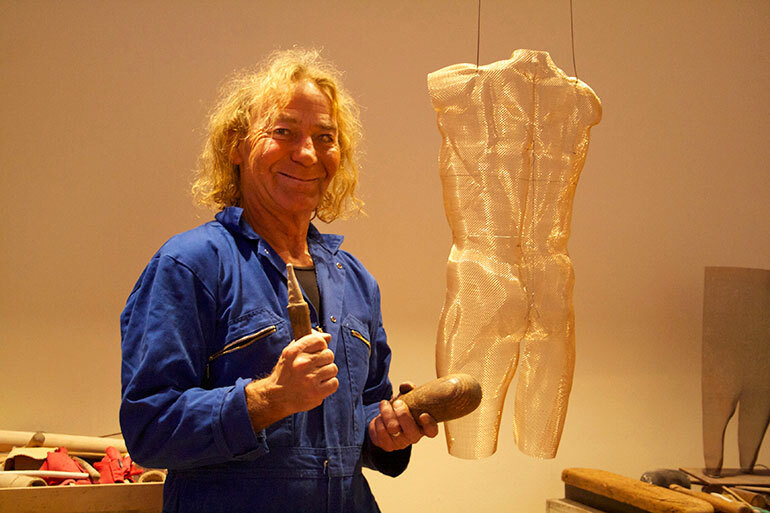 Finished in June 2013 - a suspended female torso in red oxide finished steel mesh, 64 cm high. 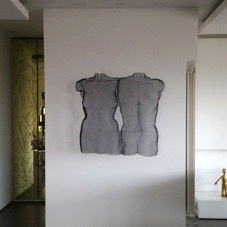 See available artwork on page Mesh Sculpture. 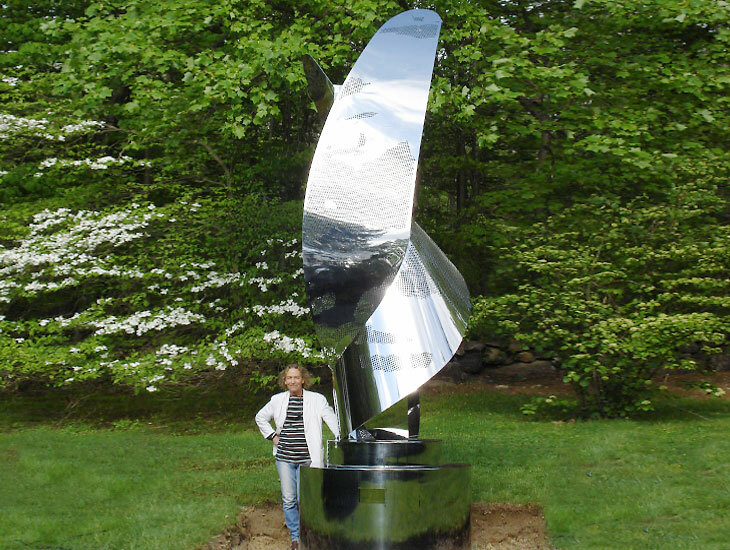 13th May 2013: Installation of ‘ChaChaCha’, a 5.5 metres heigh mirror stainless steel sculpture with three blades with laser cut design is based on a round plinth, width 180 cm. I’d like to thank Chris, Perry, Chuck and Carol as well as Barton Engineers, ABC Stainless in Peterborough, MaerskLine and Mariano Brothers, USA for their support to make it happen!